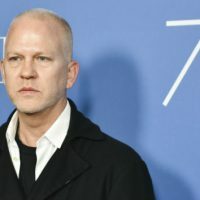 Rodin Eckenroth/WireImage(LOS ANGELES) — American Horror Story creator Ryan Murphy has donated $10 million to the hospital that treated his young son for cancer. In an Instagram post Monday, Murphy opened up about his son’s battle with a neuroblastoma at just two years old and acknowledged his gift to the Children’s Hospital Los Angeles. Murphy credits his husband, David Miller, for being his rock through it all and says that today, Ford is “thriving” at age four.